Bobby Goodson leads a rugged crew of loggers into the swamps of North Carolina in search of valuable hardwood. A fourth-generation logger, Goodson and his team must battle harsh terrain and a rough economy to keep the family business afloat. Fourth generation logger Bobby Goodson leads a rugged crew of men into the swamps where most loggers don't dare to venture. Struggling with equipment break-downs and hard financial times, Goodson All Terrain is dealt another blow. As most of the mills close their doors, Bobby is forced to move his crew out of the swamp to harvest pine wood to make ends meet. The dangerous swamp threatens to swallow Justin and his machine and Bobby recounts a terrifying accident. The mills are back up and running, providing great news for Bobby Goodson and his crew as they get back to work in the swamps. After only a few weeks of logging in the swamp, Bobby Goodson and company are forced to move to a new site. As Goodson All-Terrain Logging pushes to make up for lost time in a new swamp, washed out roads and broken equipment force delays. 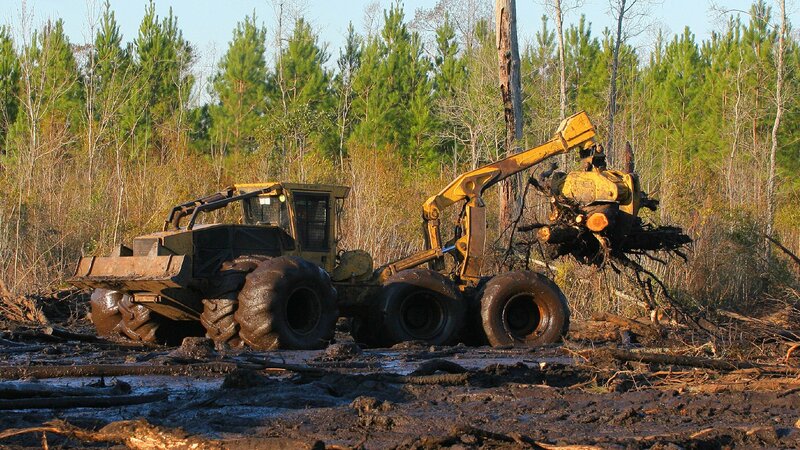 Goodson All-Terrain Logging battles the swamp in what they hope to be the final week of mill quotas. Bobby gets orders to move back to the 421 pine site and feller operator Simitrio informs the company of a trip to Mexico. Goodson All-Terrain Logging starts working on a site that has beaten them twice before. Goodson All-Terrain Logging enters the homestretch on the infamous Tract 421. Bobby considers growing his operation and making big purchases but when the swamp brings uncertainty, he has second thoughts. As floodwaters surge, Goodson All-Terrain escapes to higher ground. The crew prepares to start a new tract but is greeted by floodwaters, making it impossible to log.